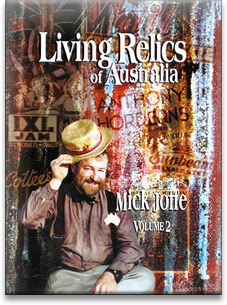 Mick has interviewed over 1500 Australian characters, each accompanied by their own caricature. As of today most of these interviews exist only in the ink and paper that they were originally scribbled down with. In due time, Mick hopes to get all of his life’s work typed up for everyone to access on the web; so far 23 characters have been uploaded.